CANADA-NEWFOUNDLAND. 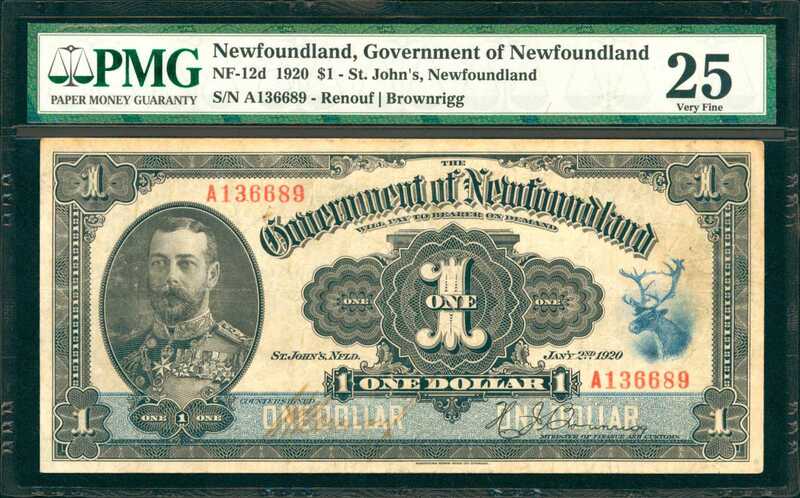 Government of Newfoundland. 1 Dollar, 1920. P-NF-12d. PMG Very Fine 25.，A scarce offering as notes of this type are typically found very problematic. This VF example is seen without any netting defects mentioned by PMG on the holder. Brilliant detail is seen, and with such, this note carries itself as an excellent example for the type.，PMG Very Fine 25.